CORD 10 GUAGE 25 FOOT 30 AMP TWIST LOCK Rentals Ft. Collins CO, Where to Rent CORD 10 GUAGE 25 FOOT 30 AMP TWIST LOCK in Ft. Collins, Wellington, Greeley, LaPorte, Loveland, Windsor CO and all of Northern Colorado. The twist lock end fits into a generator. 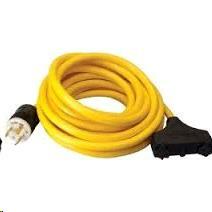 CORD LENGTH 25', 10 GAUGE, 30AMP. 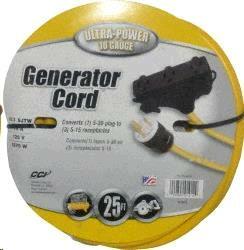 This can be used with a generator to run 2 or more devices from one cord. * Please call us for any questions on our cord 10 guage 25 foot 30 amp twist lock rentals in Fort Collins, Wellington, Greeley, LaPorte, Loveland, Windsor CO and all of Northern Colorado.